What's the most important thing about a successful website? Watch the video to find out from our team. Find out how we helped SALMON Health improve their digital footprint and increase Inbound leads by 30%. 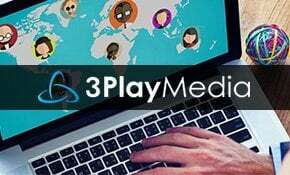 Find out how we helped 3Play Media improve their online brand with an accessible website makeover. Need help with a web solution, web support or digital growth? Just fill out this form and we’ll get in touch. 3 Media Web Solutions, Inc. I don’t have a website, but I’d like one. Can you help? Yes! We help companies build websites, from start to finish. What industries do you work with? We work with companies, schools, and nonprofits in all industries. We specialize in digital growth for software, biotech, tech, manufacturing, and health care companies, but we’ve never met a web challenge we couldn’t manage. How much should I budget for a new website? Pricing varies by project and can range from $10,000 to $75,000. Some websites are very simple, while others include more complicated features like e-commerce and tech integrations. Schedule a call with the 3 Media Web team for a custom quote. What results can I expect from a digital marketing campaign? Our digital growth team will work with you to set realistic goals for each month, quarter, and year. We offer monthly reporting and we adjust our tactics regularly to help you meet your ROI goals. 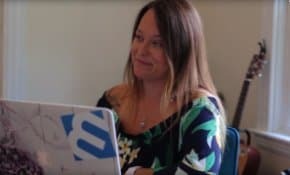 In general, 3 Media Web clients see a 40 percent increase in traffic and a 25 percent increase in leads in the first year that we work together. Are you an SEO firm? We’re a full-service web design and digital marketing agency. One of our key competencies is SEO. Therefore, every website we build is optimized to help you rank higher on Google, and our ongoing digital growth services are focused on continually improving SEO and ultimately lead generation. 3 Media Web is an award-winning website design and digital marketing agency. We specialize in designing, developing, and promoting websites on the WordPress platform for growing organizations.